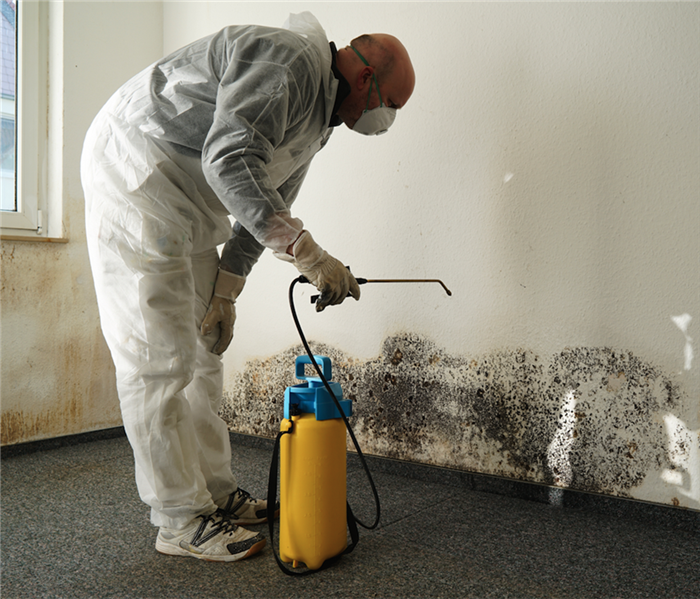 Time is of the essence when it comes to water damage disasters. Your building is prone to water damage due to vast amounts of pressurized pipes inside. Water has to run from the bathroom to the water heaters, and there are hundreds of gallons just waiting to deploy in the fire sprinkler system. The difference between a ten-thousand dollar loss and a fifty-thousand dollar loss could be as little as thirty minutes. Turing off the water main is the first step in the mitigation process. Calling SERVPRO of St. George should be your next step. The faster we start the cleaning process the sooner your company can be up and running. SERVPRO of St. George has the training, experience, and equipment to handle large commercial flooding or water damage emergencies. Whether your water emergency occurs in a small office building or big box store, we will respond quickly to mitigate the damage and manage the restoration project through to its completion. Learn more about Learn more about our training and certifications..
SERVPRO of St. George can respond immediately to your commercial water damage emergency regardless of the size or scope of the damage. We are part of a national network of over 1,600 Franchises with special Disaster Recovery Teams placed strategically throughout the country to respond to large scale events and disasters.